[September 17, 2013] Known as the Battle of Antietam (or alternatively as the Battle of Sharpsburg), this was the first major battle in the American Civil War to take place on Union soil. 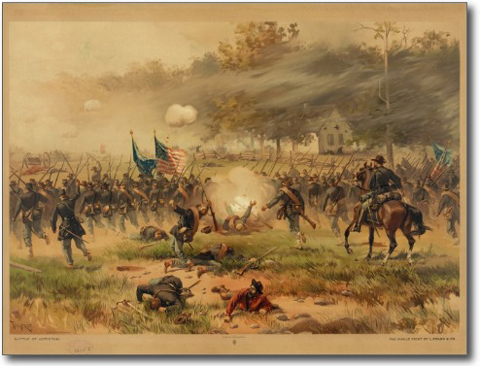 It is the bloodiest single-day battle in American history, with 22,717 dead, wounded, and missing on both sides combined. The Battle of Antietam ended the Confederate Army of Northern Virginia’s first invasion into the North and led to Abraham Lincoln’s issuance of the preliminary Emancipation Proclamation. Today I am honoring the men of both sides that fought with unmatched courage under the most savage conditions. There are so many great U.S. Civil War websites that it is easy to get a good review of the battle.